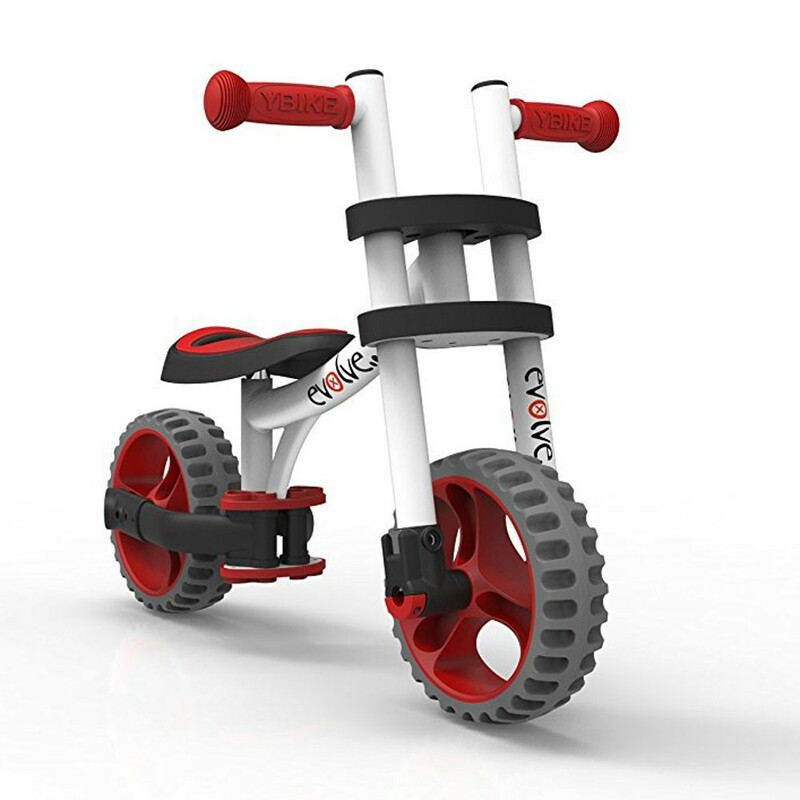 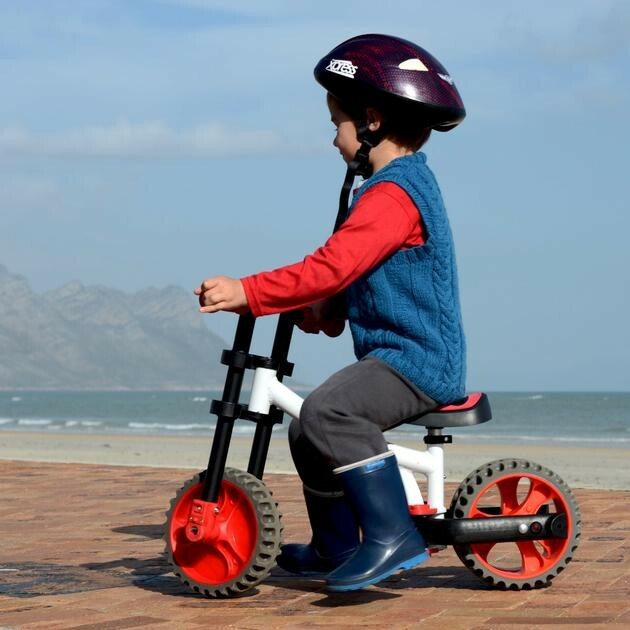 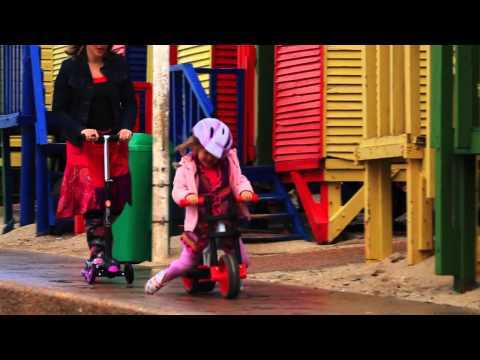 The YBIKE 3-in-1 Evolve converts from a classic pedal trike, to balance bike, and to running bike that kids will love to ride indoors or outside. 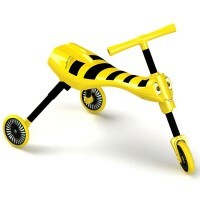 Push, slide, convert, ride! 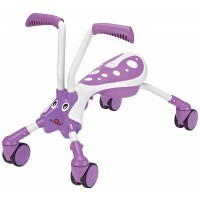 Children 2 to 5 years will be excited to ride this unique bike that grows along with them. 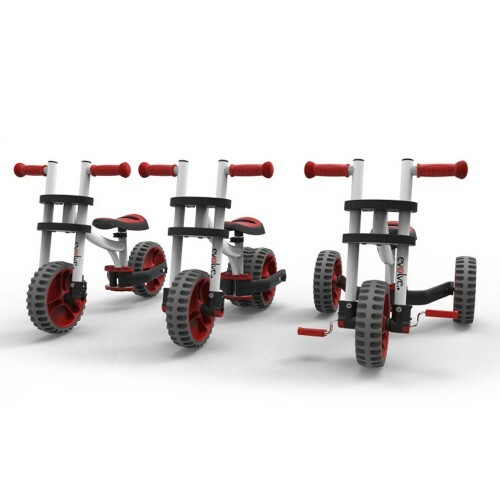 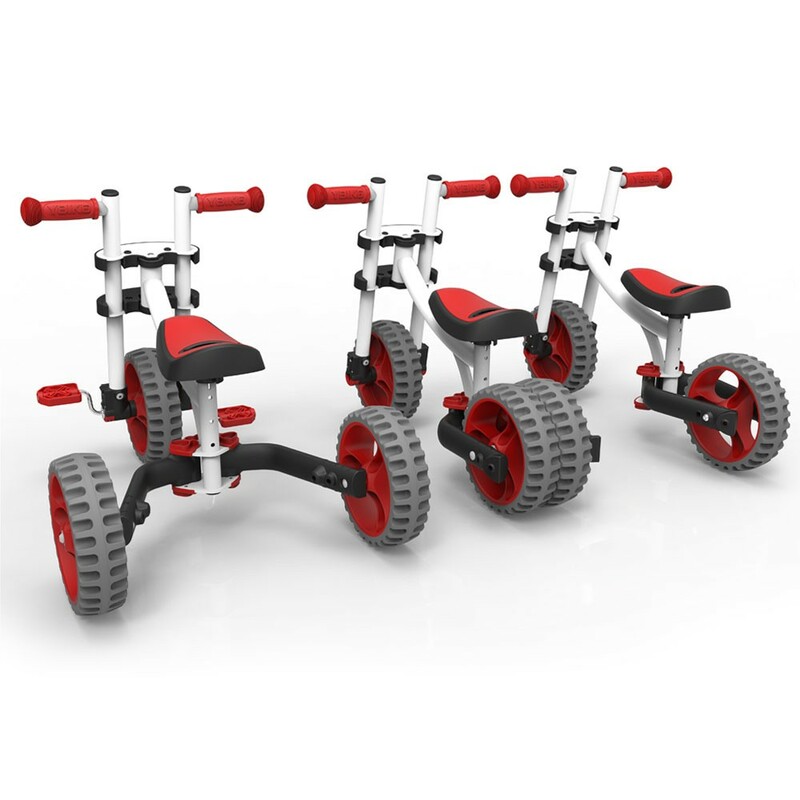 YBIKE Evolve 3 in 1 Conversion Bike Set - Red features a combination riding toy for different skills and ages. 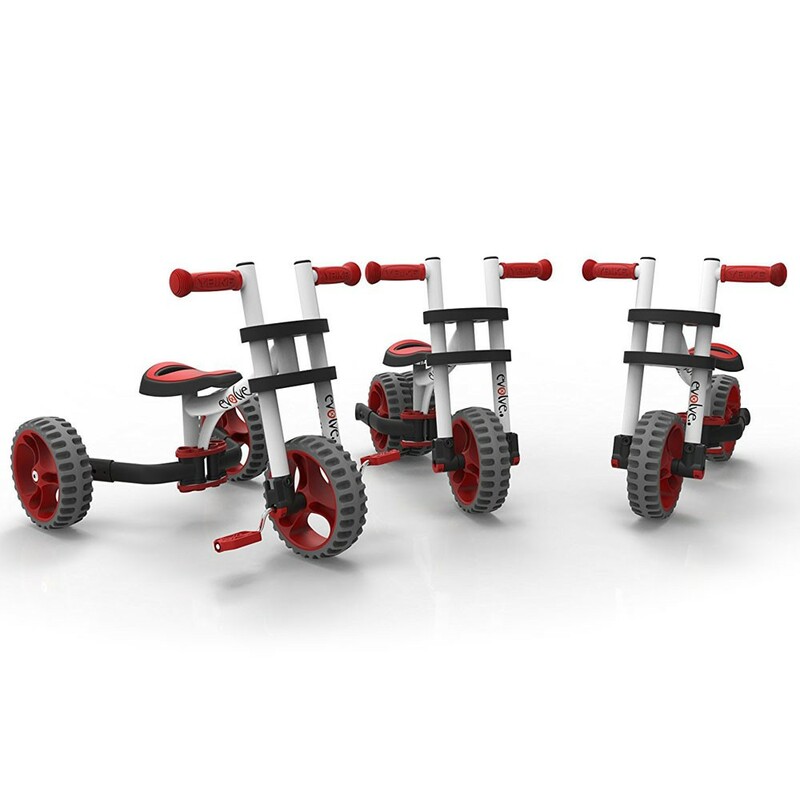 The 3 in 1 conversion system allows parents to easily change the Evolve from stage to stage. 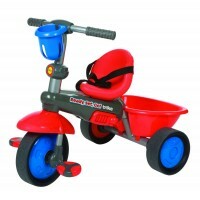 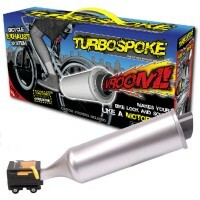 Stage 1: a classic style pedal trike. 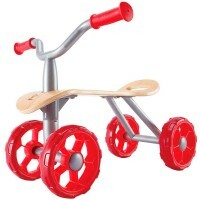 Stage 2: Balance Bike with 2 rear wheels, no pedals. 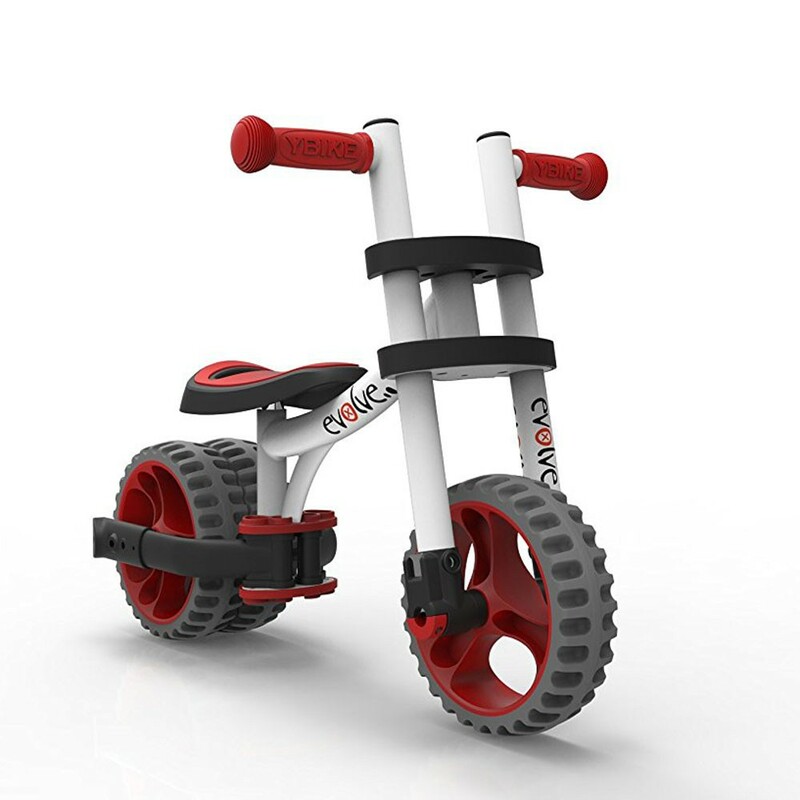 Stage 3: Running Bike, the advanced ride-on with 1 rear wheel and no pedals. 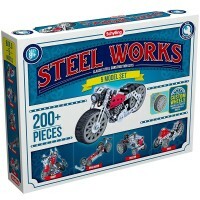 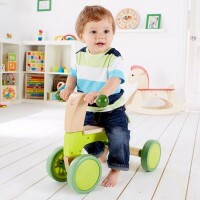 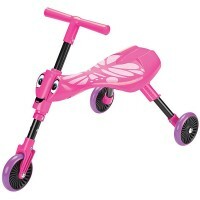 Adjustable seat height lets this super cool bike from Educational Toys Planet be changed as your child grows. 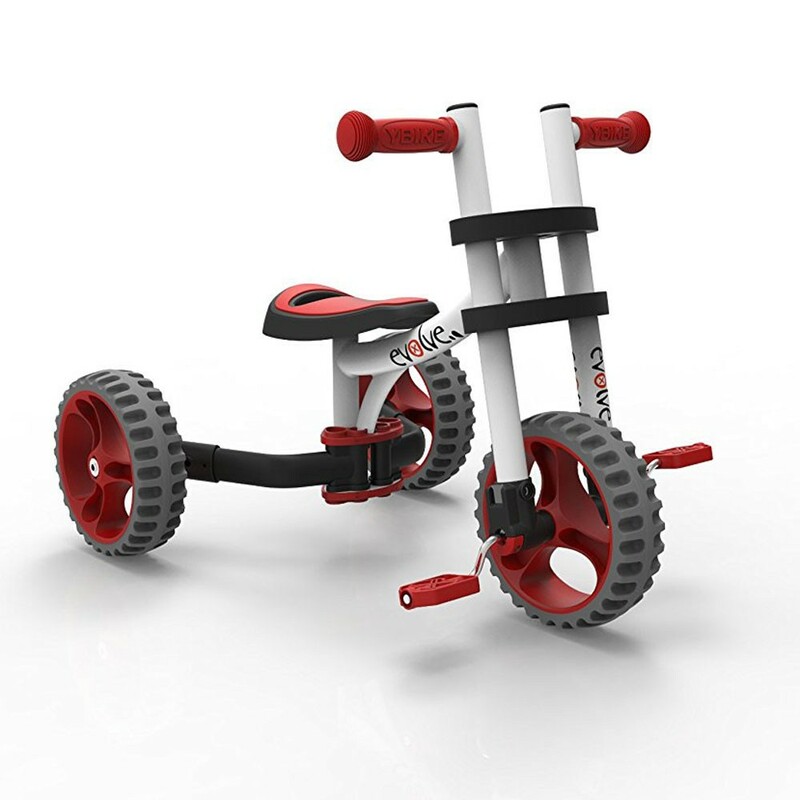 This ultimate bright red and white first bike features has rubberized treads that add traction and leave no marks on the floor, and easy-to-hold rubberized handle grips. 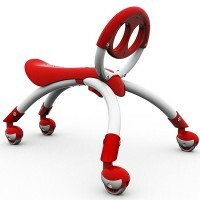 Max weight of a child is 66 lbs. 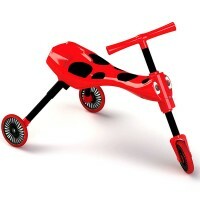 Dimensions of package 13.8" x 25.6" x 9.8"
Write your own review of YBIKE Evolve 3 in 1 Conversion Bike Set - Red.